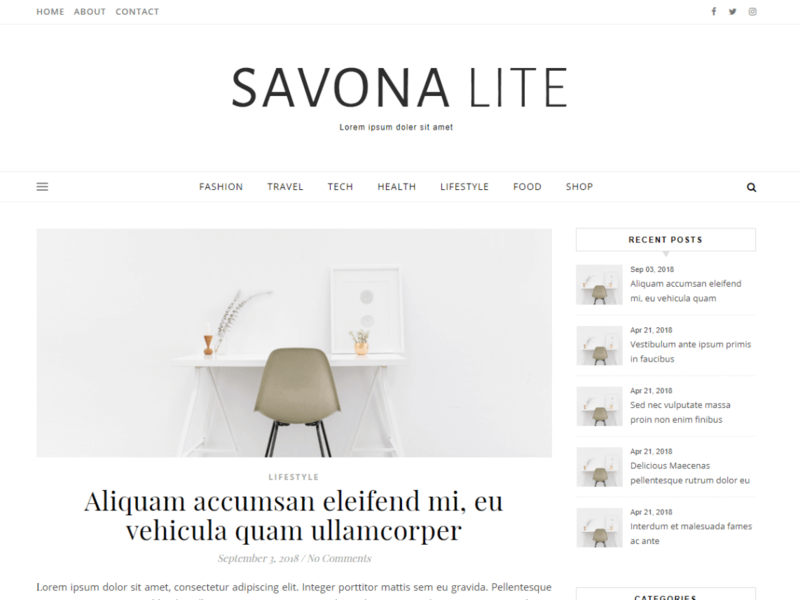 Savona Lite is a free multi-purpose WordPress Blog theme. This is the lighter version of the theme with minimal colors. Its perfect for any kind of blog or website: fashion, travel, health, fitness, beauty, lifestyle, food, news, magazine, blogging, personal, professional, tech, etc. Its fully Responsive and Retina Display ready, clean, modern and minimal design. Savona is WooCommerce compatible, SEO friendly and also has RTL(Right To Left) support.